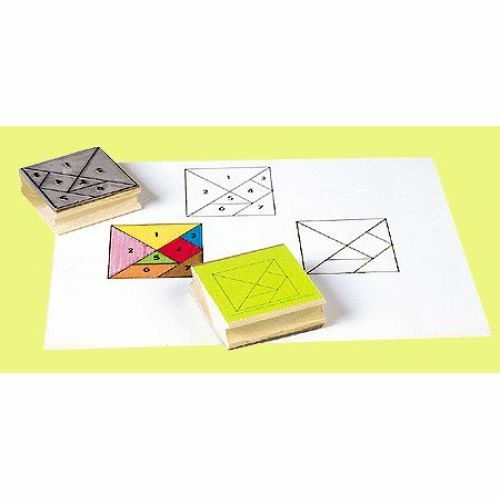 A great math aid that helps children identify geometric shapes and develop abstract thinking. Students are encouraged to create new designs. Students will enjoy making their own tangram task cards to exchange with other students. Set includes 2 stamps: one blank, one numbered.